Sitting in the English Channel just off the south coast of England, the Isle of Wight is the country’s biggest island. With a population of around 140,000, there is a wide range of property across the Isle of Wight, from compact terraces to elegant detached family homes. 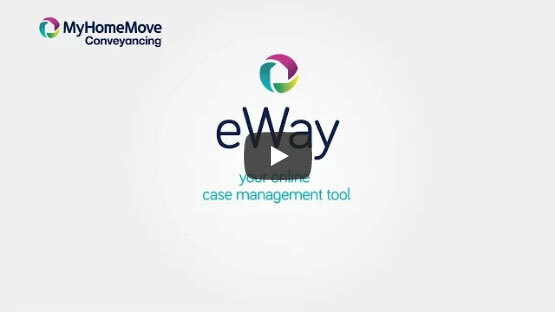 At My Home Move Conveyancing we provide a specialist fixed fee conveyancing service. We can help you find your ideal home on the Isle of Wight, having developed our knowledge and expertise of the local property market since 2002. When buying or selling property on the Isle of Wight, you’ll require the services of a lawyer to carry out the legal work on your behalf. Take advantage of My Home Move Conveyancing’ award winning customer service, innovative use of technology and intimate knowledge of the local market, and let us act as your Isle of Wight conveyancers. Our conveyancing service is fixed fee, meaning you’ll know exactly how much you’re going to pay from the outset. What’s more, if you don’t end up moving, you won’t have to pay us anything in legal fees. We assign each of our clients a dedicated conveyancer who will oversee your case from start to finish, providing you with a consistent point of contact along with regular updates on your progress. At My Home Move Conveyancing we are proud to offer our conveyancing services in Isle of Wight to customers across the island, from county town Newport in the centre of the island, to coastal spots such as Cowes, Ryde and Shanklin. The average house price on the Isle of Wight is £199,555. Over the past 12 months, detached properties were involved in the most sales, going for an average of £623,607. Semi-detached properties sold for £299,571, while terraces fetched £253,100. Located just a few miles off the coast of Hampshire in southern England, the Isle of Wight has been a popular holiday destination since Victorian times. The island has a long and rich history that includes Neolithic, Bronze and Iron Age, Roman, Saxon and Norman occupation, with its strong strategic position a factor in this. Almost 150 square miles in size, over half of the Isle of Wight is designated as an Area of Outstanding Natural Beauty. From sweeping countryside to craggy cliffs and sandy beaches, it’s not hard to see why. The Isle of Wight is connected to mainland England by car and passenger ferries that depart from Cowes at the northern tip of the island. The River Medina runs right from Cowes to inland Newport, which is the island’s county town. A network of A roads can be used to get between the major towns, while there is just one railway line in use nowadays, which runs between Ryde and Shanklin. The Isle of Wight Airport at Sandown and Bembridge Airport are the island’s two airfields. If you’re looking for a good school to send your children to then there are plenty across the island. At primary level, all major towns have a number of options, such as Cowes Primary, Newport CofE and Shanklin CofE. At secondary level, the choices include Cowes High School, Cowes Enterprise College, Ryde High School and Carisbrooke College near Newport. Tax rates vary across the island. Figures are for the largest town, Cowes.